Yesterday morning was a very busy and sick day. 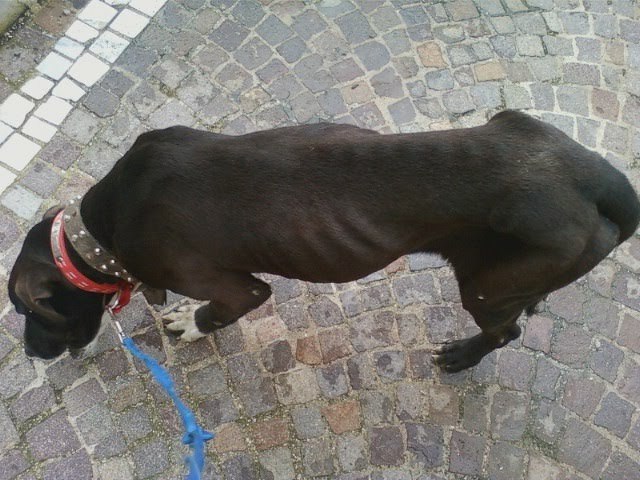 Leroy was found in a Parco here in Lago Patria roaming around trying to find some help. Sarah left out a blanket and a box for him of course water and food. He was skin and bones, and full off pressure wounds, at the end of his tail bloody mess. 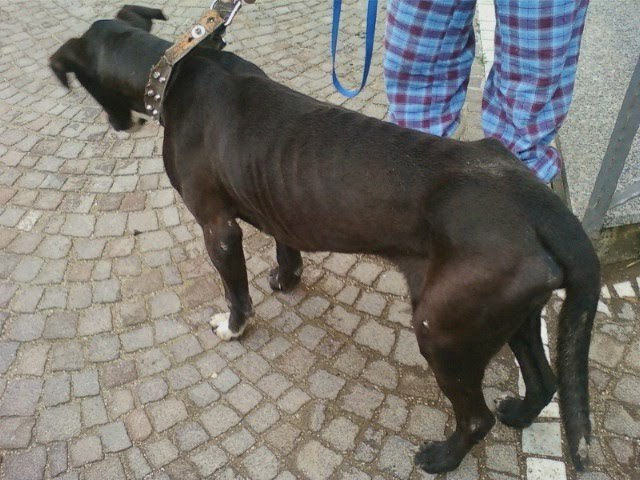 He had a chain collar on him, probably he had been chained up and not fed. Sarah and Rachel with her baby drove behind me to LegaProAnimale. 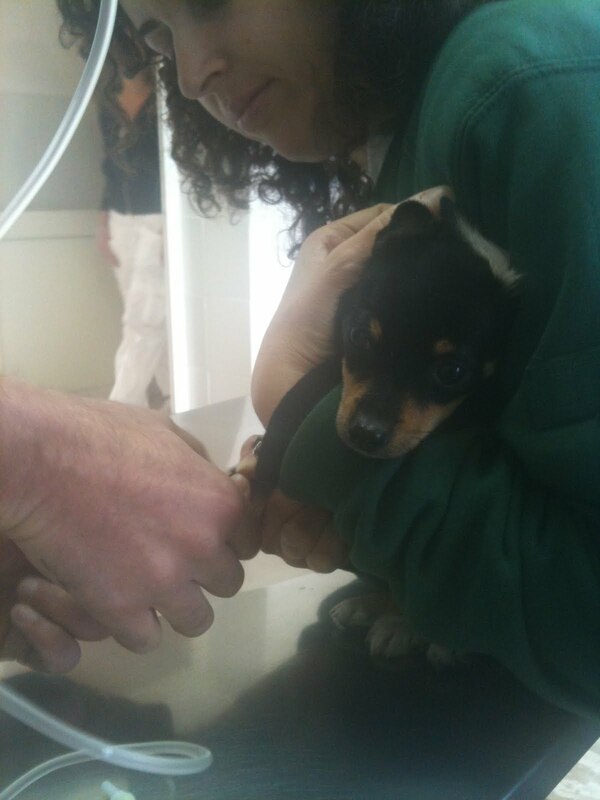 I had a very sick puppy Rikky in my SUV with Parvo. He was examine by Dr Gigi (that we all like, dogs as humans) and to our surprise he is 9 years old! We thought he was 9 months old that’s how acted, but if you had been chained for many years and suddenly free….jumping and looking at everything for the first time. Wonderful Sarah and Rachel are fostering him, and got some protein pasta to get him back in shape. According to the he is very sweet and kind. If you look from a distance, he is a handsome devil! We are keeping our paws for Leroy. 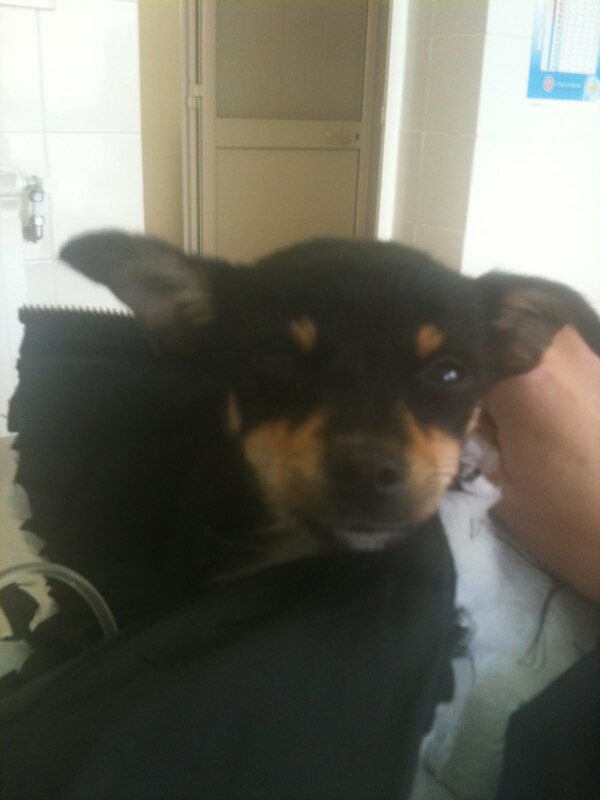 While Leroy was in one room I sat with Rikky a 4-5 months very sick pup with Parvo. We had him on IV and antibiotic, vitamins and homeopathic for vomiting and diarrhea. He slept with his little head in my hand. What a sweet heart! Isabelle assisted when Dr Gigi tried to find a vein it was a little difficult. After 2 hours started Rikki to “wake” up and small grrrrrr was heard from him. We all laughed! What a lovely sound from someone that was so sick for three days before getting treatment. I got IV antibiotic and other shots with me and drove him to his owner, and together with wonderful Italian rescuers I showed and told them what to do twice a day. And they are there helping the family! Keep your paws for this little fellow too.